Tinea versicolor is a very common fungal infection of the skin. It’s also sometimes known as pityriasis versicolor. This condition is seen most often in young adults and teenagers. Sometimes spending too much time in the sun can make the condition more visible, but tinea versicolor is not contagious and is typically not painful. If anything, the most common symptoms or complaints that come with tinea versicolor are feelings of self-consciousness. Luckily, there are treatment options available to help. You may have tinea versicolor if you are experiencing patches of skin discoloration. It’s just one of the common causes of hypopigmentation. The discolored skin that comes with this condition can be abnormally lighter (or darker) patches of skin. These areas of discolored skin are most commonly found on the torso and upper body. Sometimes discoloration also appears on the back or arms. It can be tricky to identify for sure as patches can look like spots that don’t tan as your other skin does. They can also, although less often, be scaly or itchy. Having the signs and symptoms of tinea versicolor does not necessarily mean that a person has unhealthy skin. It’s caused by a yeast that we all have naturally living on our skin – it just gets a bit out of control sometimes, and that’s when it causes the symptoms we see as discoloration. Tinea versicolor can flare up due to a variety of different factors including environmental conditions. Humid or hot weather conditions can make tinea versicolor more visible. These weather conditions can irritate the skin and cause the fungus to become more apparent. Excessive heat or a large amount of sweating can make tinea versicolor stand out. There is a reason that tinea versicolor is more common among teenagers and young adults. Hormonal changes play a large role in contributing to tinea versicolor becoming visible on the skin. A weakened immune system can significantly contribute to tinea versicolor overgrowing and becoming visible. This can be brought on from a variety of different medical conditions that weaken the immune system and expose it to potential problems. 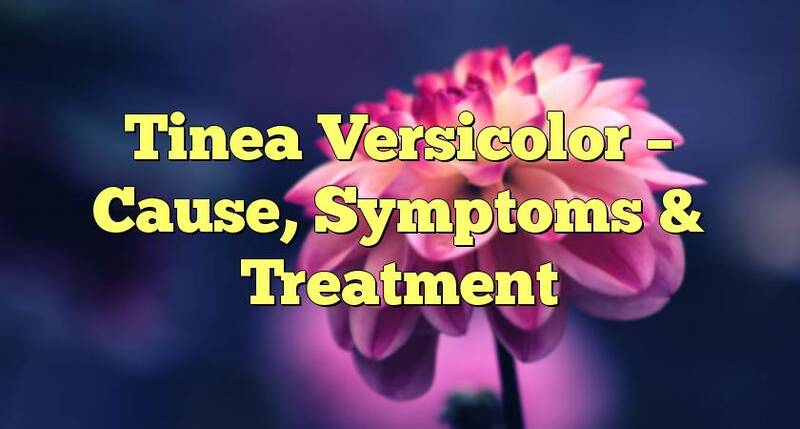 Tinea versicolor can often be treated at home with certain remedies or by a care plan from your primary care physician. However, if you are struggling to maintain the self-care of your skin and are finding that you have large patches of tinea versicolor covering your body, it may be time to speak with a physician again. A doctor will be able to offer a variety of different treatment options for dealing with the condition. Typically, tinea versicolor is treated with anti-fungals. It depends on the area affected, but commonly this is prescribed in the form of a cream or body wash. These topical treatments usually include anti-fungal ingredients like zinc, clotrimazole and miconazole. They work by killing off the fungus to get it back under control. Once the fungal side is knocked back, it can then take up to a couple of months for your skin to regain it’s normal balanced color again. For more severe cases your doctor may also prescribe anti-fungal pills. These are a more dramatic approach however reserved for trickier cases as they can have unwanted side effects. Hence they are prescription only and will be closely monitored. For a more natural treatment option you may want to try tea tree oil based products. This is a natural anti-fungal, which can be prove very effective. Just be careful when using highly concentrated essential oils as they can be very potent. You may not be able to prevent ever getting a flare-up, but you can certainly help limit how often it happens — and how severe. Warmth and humidity are key factors, so it can help greatly to avoid using oily skin creams, and wearing looser fitting natural fabrics to keep sweating and moisture build up to a minimum. Avoiding the sun can help a lot too, and/or using sunscreens when sun expsosure is unavoidable. Does your tinea versicolor have you feeling frustrated? Recurring episodes may feel frustrating. However, you should know that it is a completely normal skin condition that many people struggle with. With the approach though you can keep tinea versicolor mostly dormant. This blog is about sharing beauty information, inspiration, tips and products. I also like to look at beauty from the inside out. Please enjoy, and let me know if you have any questions.